Around October of last year, I came up with a new meal planning system. It's only been in my head. I haven't told my family that I'm doing it. Through the years I've tried lots of things. Freezer meals. Once a week cooking. A weekly meal plan where I have meals mapped out 7 days at a time. But I'm fickle. I may not WANT what is set for a certain day. And I'm flighty. Oops, we have ball practice and a choir concert tonight! Guess I won't be making that lasagna after all! What has worked the best, until now, was to just go buy groceries. Then when I got home I'd take inventory of everything I just bought and make a list of possible meals. Throughout the week, I could go to that list and choose what sounded most appealing that day, and what I had time to make. I'd cross it off, narrowing down the options each day. I do still like this system a lot. I'm pretty creative in the kitchen and can usually whip up a meal from a handful of ingredients. I don't follow many recipes well. I came up with Theme Nights. Monday - Mexican Monday. This could be burritos, tacos, taco soup, a Mexican casserole... just whatever I have on hand that I can pull a Mexican flavored meal from. Tuesday - Tuscany Tuesday. This could be anything Italian inspired. Homemade pizzas. Spaghetti. Pasta with white sauce and chicken breasts. Meatball subs. Pasta Fagioli soup. Thursday - Sandwich Thursday. It is sometimes grilled cheese and soup. Sometimes sub sandwiches. Sometimes quesadillas. Paninis. BBQ pork on hoagie rolls. I usually incorporate a leftover meat or soup from earlier in the week on Sandwich Thursday. Anything wrapped in a bread item or tortilla, I consider a "sandwich" on this night. Friday - Leftover Friday. I cook large portions, generally. So Fridays are a perfect night to do leftovers. Saturday - Fend for yourself. Mama's tired. She's worked and cooked all week. Sunday - Mom's choice. This one might be my favorite. Other than church, we don't have a strict Sunday schedule, usually. So I can take my time and enjoy myself in the kitchen! We'll do a big lasagna, pancakes eggs & bacon, biscuits & gravy, steaks, or whatever I want that takes more time than I have on a weeknight. So far, even without knowing I was actually doing this, my family has made numerous comments about "wow mom! You've made a lot of homemade meals lately! It's been really good!" Do you follow a meal plan system? Most definitely. Always plan our grocery store trips once a week after doing my meal plan for the week. Works so well for a busy family and working parents! I need to get back to meal planning. We eat so much better when I do. I love the idea of a theme day versus a specific recipe each day. I might try this out! Nice. I've never thought of a plan like that! I like it! 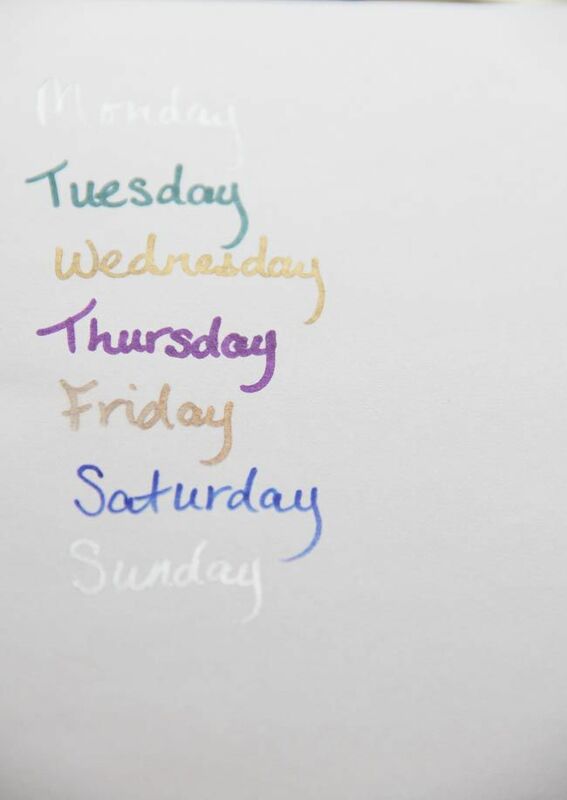 In 2008 I used to have my meals planned out for the week and would shop once a week for needed groceries. It worked out perfect and my life so easier. I haven't done that in yrs! I now have 4 kids, ages 5-10, and I desperately need to get to it again. I think I will try this Theme idea!!! As long as it works then keep it up. You amaze me with ALL that you do. Great job, sincerely.